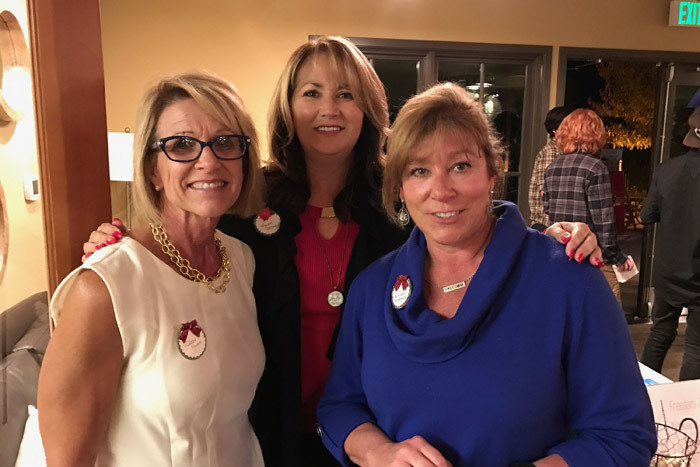 Hundreds of guests enjoyed Mercy Multiplied’s recent holiday events held in three different cities this December. Each event offered entertainment, great food, and stories of transformation and hope from Mercy graduates. 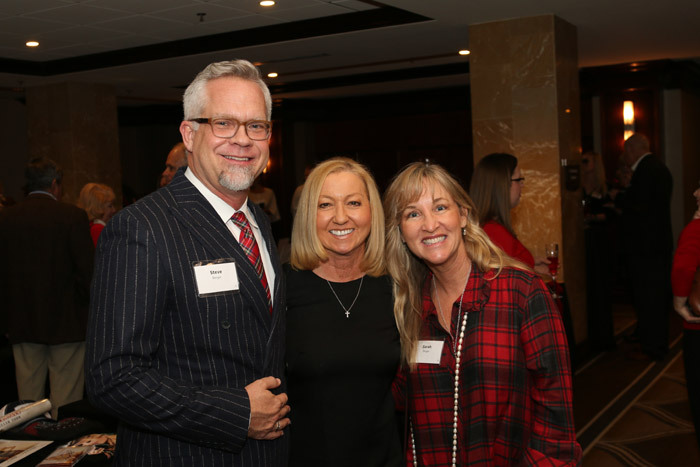 The St. Louis community kicked off the holiday season on December 1st by hosting the annual Merry Mercy Christmas Benefit at Hilton St. Louis Frontenac. 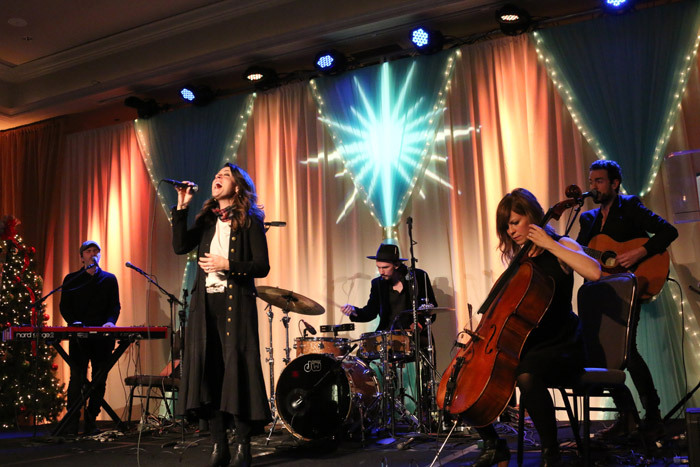 The evening included a raffle and dinner accompanied with entertainment by singer/songwriter Dana Glover, who performed several songs throughout the night. Mercy’s Founder and President, Nancy Alcorn, shared the impact of Mercy Multiplied and appreciation for all the donors that make it possible to serve the young women in Mercy’s residential program. Alcorn also took time to specifically honor longtime Mercy supporters Larry and Pam Winters, Leaders of Leadership Team Development (LTD), who attended the event with several LTD team members. Guests then heard from several Mercy graduates. One such graduate was Krystle, who was trafficked from age 6 to age 19. Krystle developed an eating disorder and turned to self-harm to numb the pain she felt. After multiple suicide attempts that landed her in several different hospitals, Krystle reached out to Mercy Multiplied for help. God has restored her to a place of hope and freedom through the Mercy program, and she has had the opportunity to serve underprivileged kids and God is using her to help bring hope and love to their lives. St. Louis Merry Mercy was made possible by our many sponsor organizations including Amway and Connection Christian Church. On December 2nd and 3rd, the Sacramento Mercy home hosted a “Walking Through A Mercy Wonderland” event full of festivities and fun. Our home was transformed into a beautiful Winter Wonderland by several amazing partners including: It’s in the Details, Simple Country Weddings and Vintage Décor, Forever Vintage Rentals, and Graceful Gatherings. Their amazing displays provided opportunities for guests to enjoy the beautiful sights of our Mercy home, hot chocolate, carolers, and delicious treats, while learning more about Mercy Multiplied. 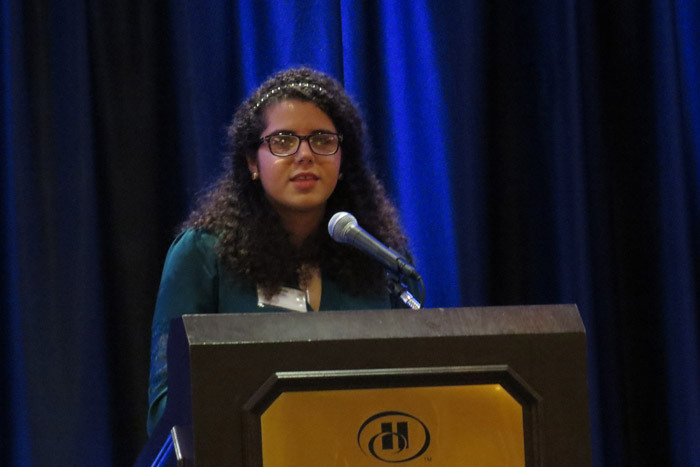 Julia, 2008 Mercy graduate, shared her testimony Friday evening and Saturday morning at the Winter Wonderland Brunch. Julia experienced years of physical and sexual abuse. She turned to self-harm, an eating disorders and drugs to cope with the pain she felt inside. After years of hospitals and various treatment centers, Julia found her way to Mercy Multiplied where she was taught principles of God and began to see herself as a new creation in Christ. 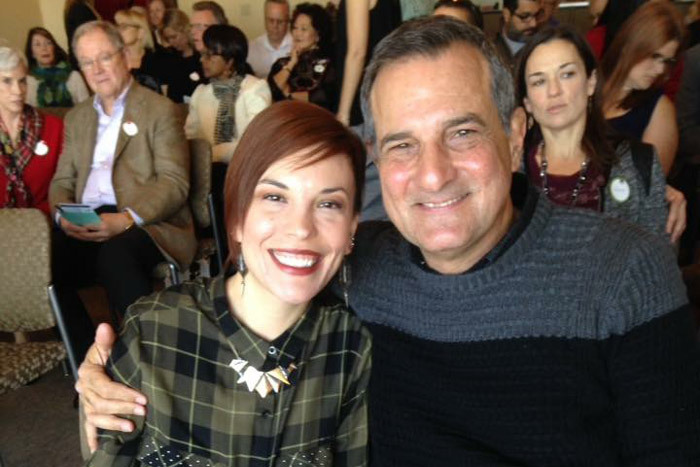 Julia now has a heart to serve women and has pursued her passion in various areas of the world. She is currently attending a Bible college, working towards a degree in Biblical Counseling. She has also opened her home up to transitioning Mercy graduates in the California area. Mercy Wonderland was made possible by sponsor organization Buzz Oates Charitable Foundation. 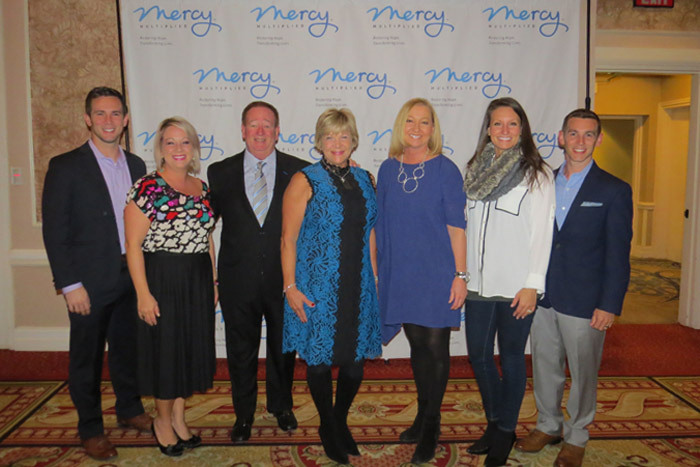 Rounding out our holiday events, was our Merry Mercy Christmas Benefit on December 6th at the Hilton Nashville Downtown. Alcorn shared an inspiring message about Mercy’s life-changing work and the resources needed for its continued success. 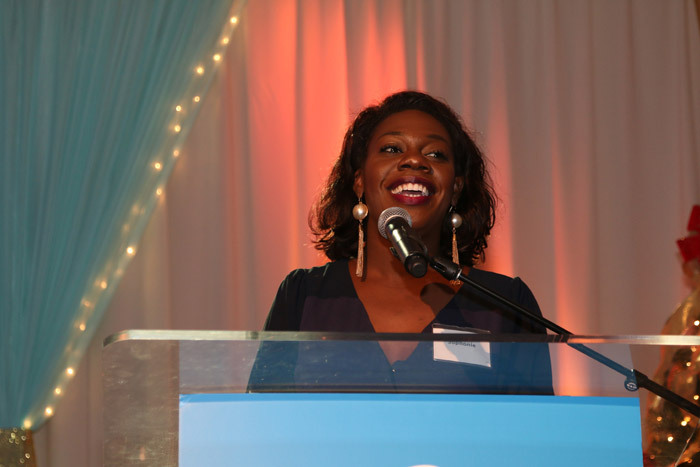 “We’ve been serving young women for almost 34 years, and the joy for me is watching women who have been told they’ll amount to nothing go on to do amazing things,” said Alcorn. Following Alcorn’s address guests heard firsthand from 2012 Mercy graduate Sophonie. Sophonie’s past was filled with years of sexual abuse, which culminated into destructive cycles of addiction and prostitution. Through the Mercy program, God transformed Sophonie’s life, and she is now walking out her freedom as a college student, studying Worship Arts and Biblical Studies. 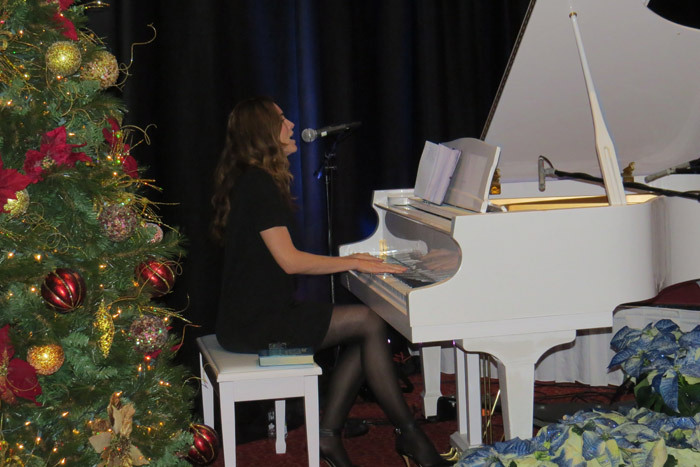 Throughout the evening, Merry Mercy guests enjoyed special music by Dove-nominated singer/songwriter Christy Nockels, including multiple selections from her new Christmas album, The Thrill of Hope. Guests also enjoyed a holiday-inspired plated dinner and live and silent auctions featuring travel packages, fine art and jewelry. Nashville Merry Mercy was made possible by sponsor organizations Ramsey Family Foundation Trust, Legacy Tree Foundation, Specialized Truck Repair, Adams and Reese LLP, Bernard Health LLC, Grace Chapel, Jackie Alexander Ministries, Mountain Group Partners and Nelson Mazda. A special thanks to our honorary chairs, Steve and Sarah Berger. Thousands of dollars were raised through these holiday events to support Mercy Multiplied in its efforts to transform lives of generations searching for truth and wholeness. If you were unable to attend, but would still like to support Mercy Multiplied’s mission and work, visit Support Us.